Using Q.R. codes to promote your business. The newest technology always amazes me. I have enclosed the Q.R. code for our website. 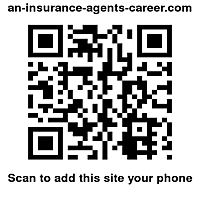 Just use your smart phone and scan this Q.R code and it will automatically load my website on to your smart phone. No hassle, no typing into a browser, etc. Simple and easy to use. Do it now and see how easy it is. [Note] You will need to load a free bar-code scanner app to your smart phone if you have not yet Done so. Wondering what does QR stand for? What Does QR Stand For | When referring to QR codes, the QR stands for Quick Response and we believe that to be spot on! QR codes are simply the fastest and most effective method to reach, interact with and get information out about your product or service. When a smart phone user sees your QR code and scans it, they are granted instant access to online information. Quick Response is truly just that. Instead of having to pull up the browser on your phone and type in a url, all the user has to do is scan the QR code with their QR reader. Depending on the type of QR code you are using, you can direct the user to one url or website or you can direct them to multiple urls or links. There are static codes that once the code is generated, changes can’t be made or the QR code will then be rendered useless. Then there are dynamic QR codes which happen to be the kind that the QR Divas use and recommend. [Footnote]- Don't pay for building your own bar code. If you would like a free bar code builder, send me an e-mail using the contact us button on top of my website page, and I will send you the link.